Bus Pirate is a great tool for exploring new chips using your PC , without the need to integrate the chip into a MCU project. Once I received my unit, i decided to put it to the test by exploring an accelerometer with I2C/SPI interface – the MMA7456L from Freescale. 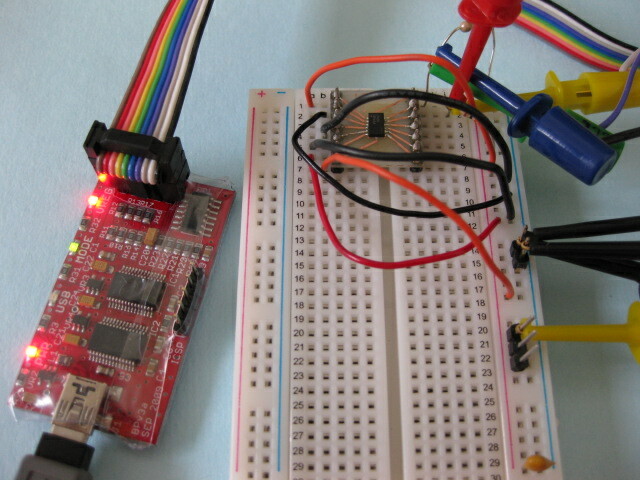 I am writing this in hope that it will help other people get started with BusPirate and I2C protocol in particular. I will only describe the I2C interface in this article but BusPirate is capable of so much more !